In Kupferschmid lecture, she urges students to join the fight for human rights. 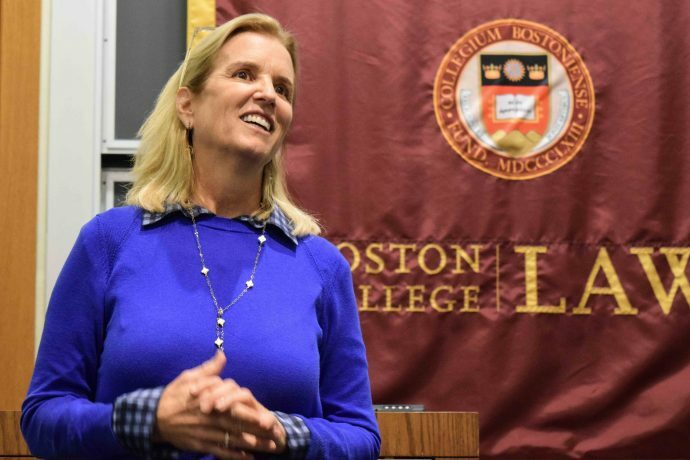 Since graduating from Boston College Law School in 1987, Kennedy has dedicated her career to human rights, and she returned to campus to present the annual Holocaust/Human Rights Project Owen M. Kupferschmid Lecture on April 12. In an emotional speech peppered with memories from her father’s tenure as Attorney General during the civil rights movement and his presidential campaign, Kennedy highlighted four programs she oversees as president of Robert F. Kennedy Human Rights. First, Kennedy spoke about the litigation and advocacy program that sues governments committing human rights abuses, and was instrumental in overturning a Ugandan law criminalizing homosexuality, and in combating femicide in Guatemala. Kennedy also championed the Speak Truth to Power education program, which incorporates human rights lessons and activities into existing curricula from kindergarten through law school and has had an impact on more than 5 million students around the world. Finally, Kennedy discussed a program that celebrates her father’s legacy by inspiring young leaders to continue his life’s work today. Reflecting on her father’s Indianapolis speech on the evening Martin Luther King Jr. was assassinated, and the role it played in preventing violence in the city when 150 other major urban areas rioted, Kennedy renewed his call for peace and empathy. Thanking professors who inspired her to take on human rights issues, Kennedy urged students in the audience to continue the work. “Learn how to use your legal education to make a difference in peoples’ lives, and to strengthen the country, because we really need it,” she said. The Owen M. Kupferschmid Holocaust/Human Rights Project is named after its founder, a 1986 Boston College Law School graduate. 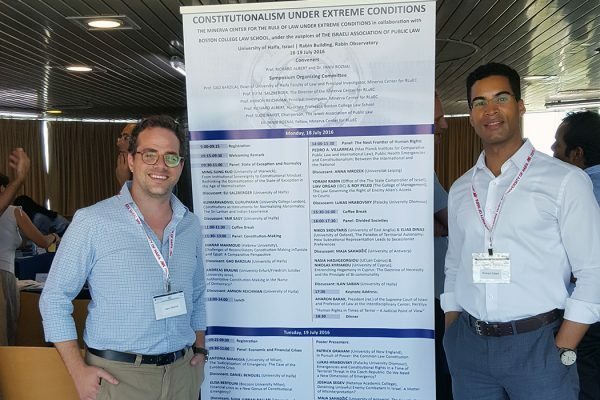 Launched in 1984, the project’s goal is to ensure that the precedential value of Holocaust-related law is fully realized and applied to state-sponsored human rights violations today.